Home / Shop / Christmas Homewares / Nutcrackers / Hanging Character Nutcracker 10cm Asst. Choose your favourite or get them all! 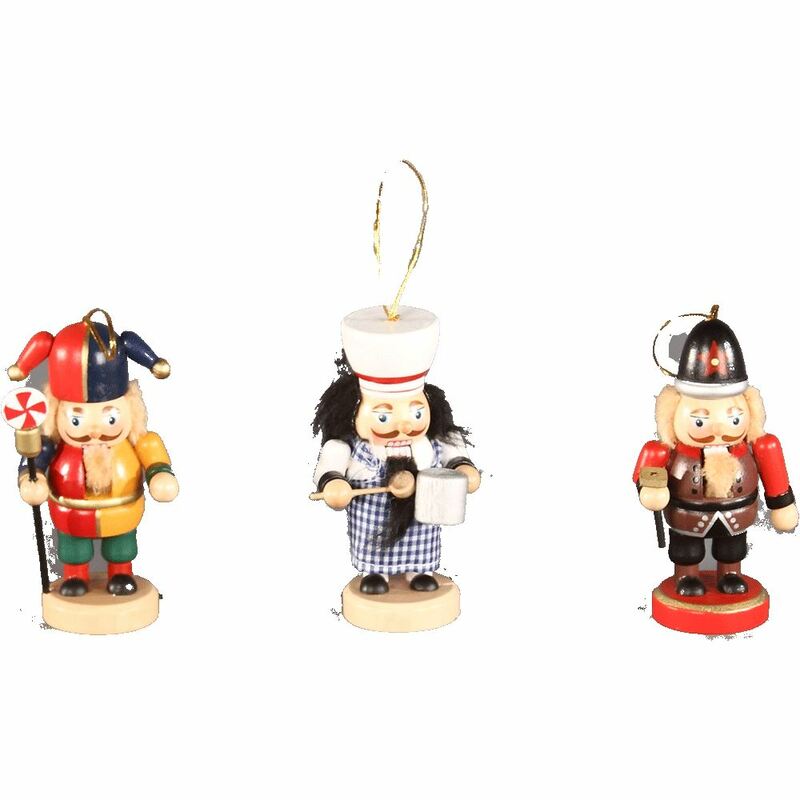 These Hanging Nutcracker Characters come in three distinctly different styles, and each measure approximately 5cm wide by 12cm high. Wooden nutcrackers are something that many people enjoy displaying, collecting, and buying during the holidays, and these charming little soldiers are a great and affordable way to fuel this passion. Consider these fine chaps: the multi-coloured charming jester, the tradesman with hammer in-hand, or the baker in his dapper hat and apron. These are darling and quite different than other nutcrackers that you may have. The affordability and theme make them ideal gifts to share with anyone on your gift-giving list this year. They suit a wide range of recipients and won’t break your holiday shopping budget.